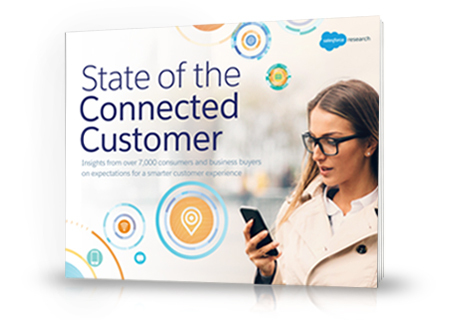 Thanks for your interest in the "State of the Connected Customer." See how Marketing Cloud can help you create 1-to-1 customer journeys. Deliver faster, smarter, personalized service with Service Cloud.